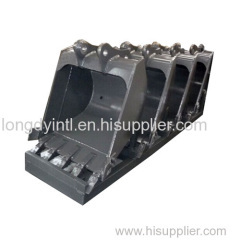 We are bucket expert with more than 20years experience in construction industry.Our factory was established in 1978 and was restructured in 2007, specialized in construction equipment manufacturing. We are the biggest weldment parts and attachments supplier of Doosan and Fonton Lovol in China and our products has been exported to many countries and regions. Our annual sales value is up to more than 30 millions U.S. dollar. 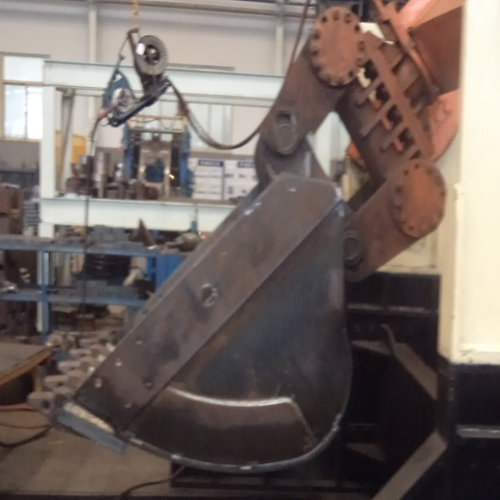 We have large equipment capacity, advanced engineering and most professional work team, 500ton Hydraulic Stretcher, 800ton CNC Bending Machine, Swing-type Plate Shears, CNC Laser Cutter, CNC Flame Cutter, Auto Welding Line, Welding Robot, all kinds of advanced large machining equipment to meet the large pieces machining. We can provide full size of Doosan/Fonton Lovol excavator&loader buckets, customer customized buckets and OEM services. The bucket capacity from 0.3m3 to 3.5m3, material choosed is GB Q345B/ ASTM grade 50, wear-resistant steel AR320 and other customer specified material. The bucket body is strenghthened. The finish painting is optional. We also provide optimized packing design service according to order quantities to reduce transportation cost. Our products has been exported to Korea, Japan, Germany and The philippines.